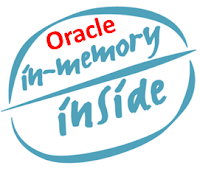 Oracle Database In-Memory delivers leading-edge in-memory performance without the need to restrict functionality, or accept compromises, complexity and risk. Deploying Oracle Database In-Memory with any existing Oracle Database compatible application is as easy as flipping a switch - no application changes are required. Oracle Database In-Memory is fully integrated with the Oracle Database’s renowned scale-up, scale-out, storage tiering, availability, and security technologies making it the most industrial-strength offering on the market. The ability to easily perform real-time data analysis together with real-time transaction processing on all existing applications enables organizations to transform into Real-Time Enterprises that quickly make data-driven decisions, respond instantly to customer demands, and continuously optimize all key processes.